The first thing I learned at J-school was probably the most fundamental thing I’ve ever learned about myself. Did I want to be a newspaper reporter, a broadcaster, a magazine writer, or an advertising exec? In choosing an emphasis, I was aware of choosing a life as much as a career. Did I want glamour? An important role in our country’s democracy? Big money? I could hardly admit it out loud to anybody at the time, but the decision came down to answering one question: Which kind of journalism would give me holidays off? Ambitious as I was, I recognized something essential about my nature. I didn’t want to forsake the time to pause, to celebrate and to be with people I loved. So I became a magazine writer. Since then, my notion of a holiday has changed. Especially with the coming of my daughters, I was aware of the holiness in each day. And I have become whatever kind of writer is necessary to pausing, celebrating, and being with my beloveds as much as possible. Any given day, this means something different. 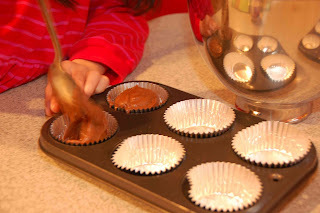 Today it meant pausing to anticipate yet another storm, celebrating the snowfall by baking cupcakes, then watching my daughters lick pink frosting off their fingertips. In the midst of the winter blues, Blossom and Fern cooked up some sunshine: an edible model of the solar system. In their universe, the earth was the third tomato from the grapefruit sun. Using National Geographic’s map as a blueprint, they emptied the fruit bowl and raided the cold bin. Out came the canning-lid rings to adorn the onion standing in for Saturn. Astronomers down-graded Pluto from the planetary circle, and Fern and Blossom deemed him merely a split pea. Once upon a rent-controlled apartment, the only tool I had was a small hammer with a broken claw, suitable for driving no more than a picture nail. My world has changed for the best since we moved from the city to the piney woods to fend for ourselves. Of course in the last years, my tool collection has expanded considerably. (Visiting friends from NYC once asked in measured seriousness if our wood-splitting axe was for protection against burglars.) But I do miss Louie, our building's landlord, handyman, and the neighborhood's amateur historian. One call and the leaky kitchen sink would be fixed by the time June and I rode the D train home. Late one night I explained to anyone who would listen at Home Depot how the bathtub hot and cold didn't fit into the new shower-tub control valve. Finally, the retired plumber on duty plucked a few fittings from a bin and promised me the fear was all in my head. I came home with the parts and a sense of renewed confidence. That was enough to get it done. Still, I've persevered. My latest project is an outdoor wood-fired pizza oven. I started it last summer in the rain, worked steadily, but got totally stalled by early freezing weather. I'm a slow, methodical worker, so I can't blame it all on the weather: July was spent digging the 6 x 7 foot foundation and lining it with a plastic vapor barrier covered with drainage stone. Then, in August a concrete delivery was promised every week, but never arrived. Finally I took it in my own hands and overloaded the minivan with bags of ready-mix, made two trips on sagging springs and still came up two bags short. When the concrete-vermiculite insulating blend was finally dry, I was ready to build the 36-inch oven structure, but by then the freezing night-time temperatures made working with concrete impossible. But as multiple feet of snow piled up, I made the most of the season. I spent the winter perfecting my pizza dough recipe. Bring on the spring!